It's like a beautiful natural painting depicting the beauty of mountains, beautiful green trees, and a stretch of lake can be seen clearly from this place. Besides having a natural panorama with cool and fresh air, Wanagiri Swing Hill also has added value when you visit this place. If you visit the destination as a place to relax, it feels really good. 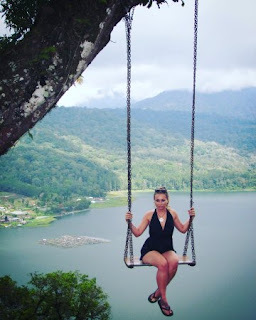 In addition to relaxing and enjoying the beautiful natural scenery there, Wanagiri Swing Hill also has many unique spots that can be used when we are on vacation there. And you can also have more exciting content to upload to Instagram. Ranging from swings, bird cages, viewing booths shaped like a boat, and many more. All these natural panoramas face directly to Lake Buyan and Lake Tamblingan surrounded by shady forests. And hopefully this tour becomes a very valuable moment for your tour in Bali.